COLORADO SPRINGS, Colo. (CBS4) – A hunt is under way in Colorado Springs for a coyote that attacked two children in a park last Thursday. The attacks happened in Goose Gossage Park in broad daylight with a lot of people around. A coyote nipped a 4-year-old, but the child isn’t badly hurt. But that wasn’t the case for 2-year-old Raegan. 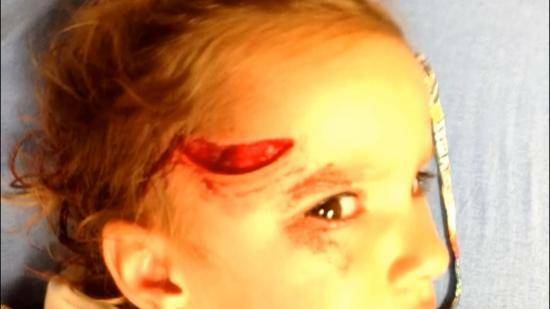 The coyote grabbed her as she came off a slide, biting her in the head so quickly no one knew what happened until her mother spotted the animal running away. “I started just started screaming, ‘A coyote attacked my baby.’ I was yelling at my husband,” Raegan’s mother said. Raegan will be going back to the doctor several times over the course of the next few weeks because of the severity of her injuries. Wildlife officers have warned park users about the attacks and are actively hunting the coyote. In October 2013 a Colorado man was on his way to work before sun-up Monday morning on a stretch of dark road near Niwot when three coyotes crept up from behind and attacked. 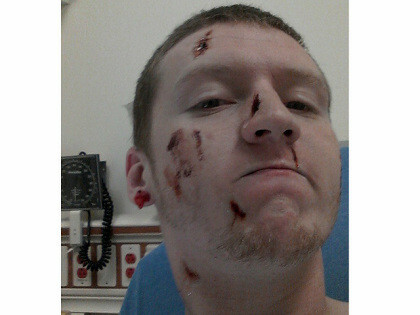 Andrew Dickehage suffered scrapes and cuts all over his arms, neck and face from being repeatedly jumped at by the coyotes.